Angelo “Lefty” DiMaria, 94, passed away peacefully at home on Friday, August 24, 2018 surrounded by his loving family. He was the beloved husband of Hilda (Perrotti) DiMaria for 75 years. 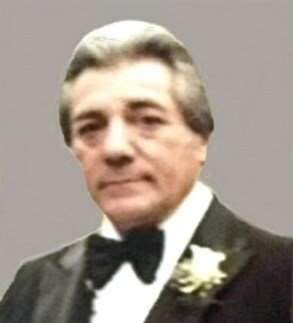 Born in Providence, he was the son of the late Rosario and Angelina (DiRocco) DiMaria. Mr. DiMaria worked in the construction industry for many years before retiring. He was an Army Veteran of World War II. In addition to his wife he is survived by his children, Robert DiMaria and his wife Donna and A. Sharon Stott and her former husband Angelo; and three grandchildren, Holli Stott, Mandi Cardillo and her husband David and Barbi Jo DiMaria. He was the brother of the late Nick, Joe, Charlie, Vincent, Philip, Ann and Jean. Visitation will be held Thursday Morning, August 30, 2018 from at 8 a.m. – 9:15 a.m. in the MACERONI FUNERAL HOME, 1381 Smith St., North Providence, followed by a Mass of Christian Burial at 10 a.m. in St. Robert Bellarmine Church, 1804 Atwood Ave., Johnston. Entombment will be in St. Ann Cemetery Mausoleum, Cranston. In lieu of flowers, donations in Mr. DiMaria’s memory may be made to: St. Robert Bellarmine Food Shelf, 1804 Atwood Ave., Johnston 02919.